Thinking of turning your newly purchased flat in North Kolkata into a compelling space? Get down to the very bottom of it and start small. Take each room into consideration and decorate it with elements that suit your taste. First, accessories your bedroom gracefully as most of the time you will be spending here with your loved ones, then move to the other rooms in your 3 bedroom flat in Kolkata. Make your bedroom look spectacular by garnishing the wall behind your bed. Even a simple wall hanging can be a game changer. Break the monotonous stretch of the wall and embellish it with textures, paints, tiles or frames and give your bedroom a personal touch. Here are few interesting ways by which you can decorate the wall behind your bed and make an impression. Don’t restrain your tiles to your kitchen and bathroom only, collect various shaped tiles and create an artistic texture right behind your bed. Tiles are an exciting way to make a stunning effect in your flat in North Kolkata. Opt for larger tiles, as small ones make the room look clumsy and dingy. Ceramic tiles and faux-tin tiles are a great combination to embellish the wall behind your bed. 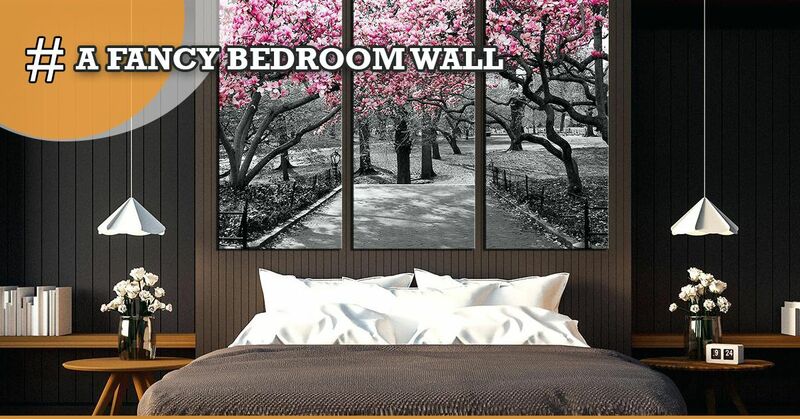 While building your apartment from scratch, create a niche in the wall of your bedroom. Niches can be used as a decorative element as well as can be used for storage purpose. To bring about a new dimension to your room, build niches which are either arched or in a contemporary straight line fashion. You can also use wall-papers for your niche or paint that area with a contrasting shade to add depth to the room. Install shelves in your niche to function them as a storage place for your travel collectibles and souvenirs. Use the wall behind your bed in your 3 bedroom flat in North Kolkata as a canvas for your artwork. Hang photo frames of various shapes and size to create a dynamic effect and make a beautiful collage of your amateur photography or pictures of your loved ones or favourite vacation memories. Give it a vintage look by hanging wooden frames and mirrors to create a stunning look. Give your bedroom a vibrant touch by painting some abstract patterns on the wall behind your bed. Break the monotony of the white-walls in your bedroom by popping a bright mural with tones of lucrative shades. This stencil artwork will make your space look even more gorgeous and fill an air of happiness and playfulness. There are plenty of wallpaper designs to choose from. Whatever be your choice, you can paste beautiful wallpapers behind your bed and make your room dazzle. From floral motifs to abstract prints and patterns, you can choose anything as per your style in your 3 bedroom flat in North Kolkata. If you are planning to draw a vintage feel in your bedroom, the best way you can do it is by paneling the wall behind your bed with teakwood. The wooden texture can immediately attract the eye and create a depth of field, giving the room a hint of the old-world charm. Create a steadfast bed zone by upholstering a portion of the wall with faux-leather and give a cushion-like look. Make sure to leave some space on both sides of the wall and not cover the entire wall. This will create a beautiful dimension of color and contrast. Add a border to it to make your flat in North Kolkata look more attractive. Go and opt for these fancy ideas to make your bedroom look comfortable and stylish at the same time. You can certainly see your skills within the article you write. The sector hopes for even more passionate writers such as you who are not afraid to say how they believe. Always follow your heart.